Split-ends is an all-too-common occurrence in which the hair follicle tips literally split open. Some people assume that dreadlocks are immune to this problem, but unfortunately this isn’t the case. 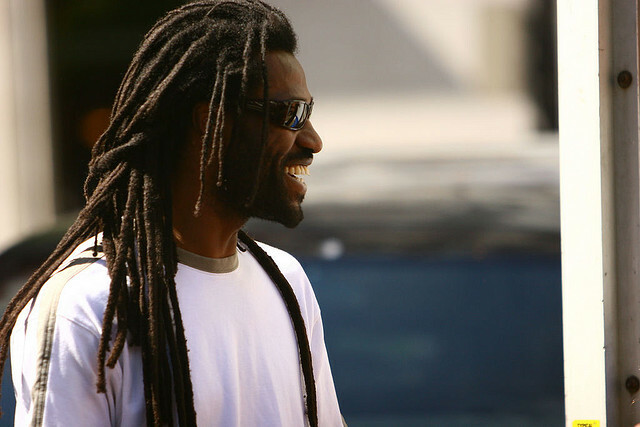 Although rare, split-ends have been known to occur in men and women with dreadlocks. The good news is that you can usually treat and prevent them by following some simple steps. If you aren’t doing so already, try to get into the habit of sleeping with a cap over your dreadlocks. We’ve talked about this before on our blog, but it’s worth mentioning again that wearing a cap will “lock in” the natural oils produced by your scalp, helping to moisturize your hair and prevent problems like split-ends. When hair becomes too dry, it’s susceptible to breakage and split-ends, which is why it’s important to keep it moisturized. Wearing a cap is just one of the many ways that will help you accomplish this goal. Washing your dreadlocks with a high-quality shampoo is critical to maintaining healthy, happy hair. However, you must use caution to ensure that you aren’t washing it too much. There’s no need to wash your dreadlocks each and every day, as this will only further strip moisture and key nutrients from it. Instead, try washing your dreadlocks once every week (or every couple of weeks depending on if you’re just starting your dreads, and your hair type). Following this otherwise simple rule will go a long ways in protecting your dreads from split-ends and other forms of damage caused by severe dehydration. How can a humidifier help to protect your dreadlocks from split-ends? Going back to the back to the underlying cause of this problem, split-ends are typically the result of dehydration. While there are a number of elements that may contribute to your hair’s dehydration, dry air is one of them. And to make the problem worse, dry air is particularly commonplace during the fall and winter months, as the cool air is unable to hold as much moisture. To combat this problem, try installing a humidifier in your bedroom. These devices will work to raise the humidity level by releasing additional moisture. As the moisture is released into the air, some of it will land on your hair, helping to keep it moisturized while protecting against split-ends. Tippytop Send me an email at info@howtogetdreads.com, and I’ll send it to you via email straightaway. Also, after you email me, be sure to check your spam box. Sometimes emails go there.